Two days ago two Romanian workers suffocated while wielding pipes for the geothermal expansion project at Hellisheidi, east of Reykjavik (1). The Hellisheidi power plant is being expanded by Reykjavik Energy company. The campaign group Saving Iceland believes that serious accidents are almost unavoidable due to the extreme circumstances the Eastern European workers in Iceland are forced to work in. 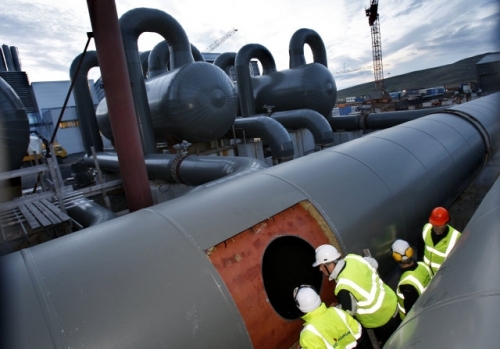 At the construction site for the Hellisheidi geothermal power plant expansion, the labour intensive work is done by Polish and Rumanian workers. These live in a work camp on the construction site. The Rumanian pipe wielders of which two died are working for Altak, a contractor of Reykjavik Energy. The pipe wielders work 72 hour weeks in up to 17 hour long shifts, even in the winter. They work there for 3-6 months on end and then have a three-week holiday before they return to this project or a similar project in Iceland or elsewhere. They are not paid to Icelandic standards but to Romanian standards, with a monthly salary approximating 2300 Euros at current exchange rates (for a 72 hour work week). They are however paid in Icelandic Krona, rather than Euros. Due to devaluation of the Krona they have seen a quarter of their income disappear without compensation. They are forced to stay in the camp, with one night out in Reykjavik per month. The camp is worse than a prison – there are no recreational facilities and no gymnastic / sports facilities. Even their televisions do not work because the location hampers reception. Requests for simple facilities such as a football pitch or even a table tennis table are turned down. Those who complain too much are threatened with loss of their jobs. Workers have been told the expansion of the power plant is meant to provide energy for the city of Reykjavik. However, the plant is being expanded to provide energy to Century Aluminum’s smelter at Grundartangi, north of the city. “It is not surprising that deadly accidents happen to workers who have to work 17 hour pipe wielding shifts. It is ironic that a public owned company such as Reykjavik Energy, who credits itself with being clean and green, constructs its facilities by exploiting foreign workers in this fashion. No Icelander would work in these circumstances. The only people willing to do this work are those that have very little opportunities and have no choice but to do this, to support their families back home” says Jaap Krater, a spokesperson of Saving Iceland. “We have brought this issue up at previous actions that we have done at Hellisheidi (3, 4), but Reykjavik Energy has taken no action to improve the worker’s lot. Now that a number of workers have suffered a horrible and tragic death by suffocating in the pipes they were wielding, action has to be taken now to stop this scandalous behaviour by a company that is owned by the city of Reykjavik,” says Krater. Saving Iceland was started by Icelandic environmentalists asking for help to protect the Icelandic wilderness, the largest remaining in Europe, from heavy industry. Aluminium corporations Alcoa, Century Aluminum and Rio Tinto-Alcan want to construct a number of new smelters in Iceland. This would require exploitation of all the geothermal areas in the country, as well as damming most major glacial rivers (see http://www.savingiceland.org/sos). Foreign laborers usually participate in more dangerous projects than Icelanders, which may explain why they are more often involved in fatal accidents than native workers, according to Eyjólfur Saemundsson, director of the Occupational Safety and Health Authority. 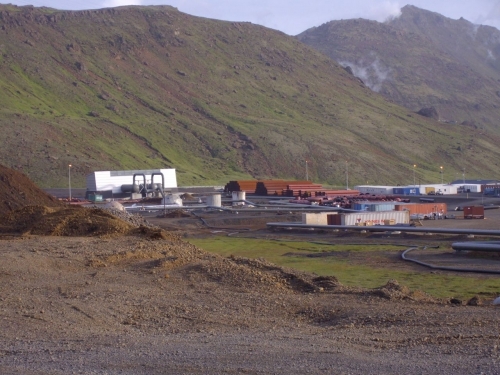 On Wednesday two Romanian welders died while working inside an air-tight steam pipe at Hellisheidarvirkjun power plant outside Reykjavík, probably due to lack of oxygen. According to Morgunbladid, so far this year there have been three fatal work-related accidents in Iceland. The victims have all been of foreign origin. 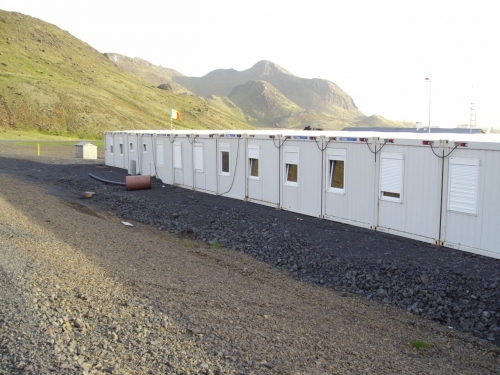 Since 2006 seven immigrant workers and five Icelanders have lost their lives in work-related accidents. exployting the death of foreign workers. just to bring attention to your own cause. you have no respect or dignity. How can it be the companies fault that they succome to death on the work place? The worst that happens to a company is death in the work place. and they do everything to keep workers safe. And you talk about 17 hours work days. thats really not the case, and you can not pose numbers when you dont have those numbers on paper to support your fact. And as far as the work in Iceland goes. I work 16 hours a day times 21 or 22 days a month. I dont complain and I dont see anyone arround me complaining. As far as the accomodations goes, if people dont like it they should complain to their workers right company, Efling and what else there may be. And trust me, it is eligal for a worker to work in Iceland without beeing a part of a company like Efling. And if they are not, they should simply explore there rights. 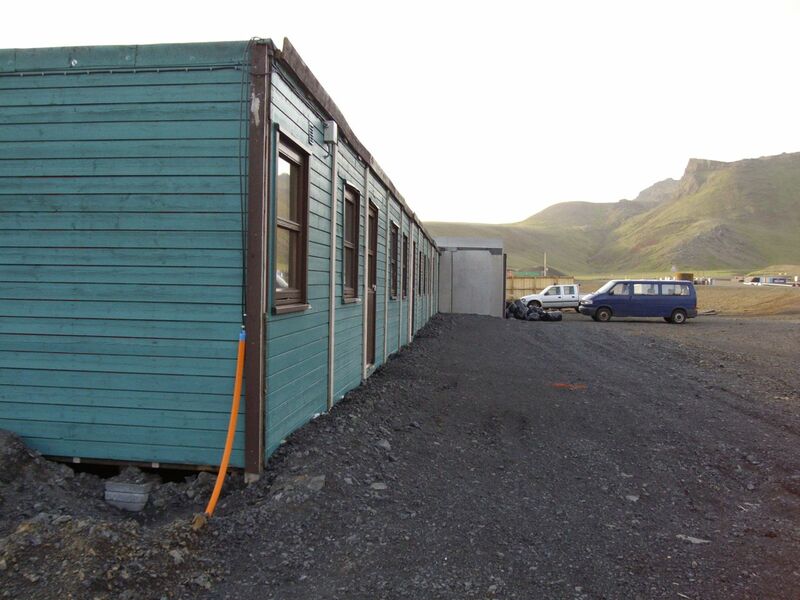 Icelanders stay in exactly camps like that all over Iceland where there is development in progress. If you have respect for these people than do something to help improve their situation instead of saying to other people they dont have respect for bringing out the facts. No, they are not members of Efling or anything else. They can not just ‘explore their rights’, if they complain they lose their job. They cant even go to Reykjavik, just once a month. You tell me where Icelanders work in the same condition, in the same accomodation for five months on end before they have three weeks off. If it’s all the same, why don’t they get paid the same as Icelanders then? Maybe you work 16 hours but probably not outside as a pipe fitter. Dont you think that if people do that kind of work in that situation some people die in the end?